New month means new series!!! It is my birthday month and I am super excited to bring you all my “Black and White” series. My birthday is on the 17th but this series is lasting all month long. I tend to do a black and white series when I have been overloaded with color. Stay tuned! 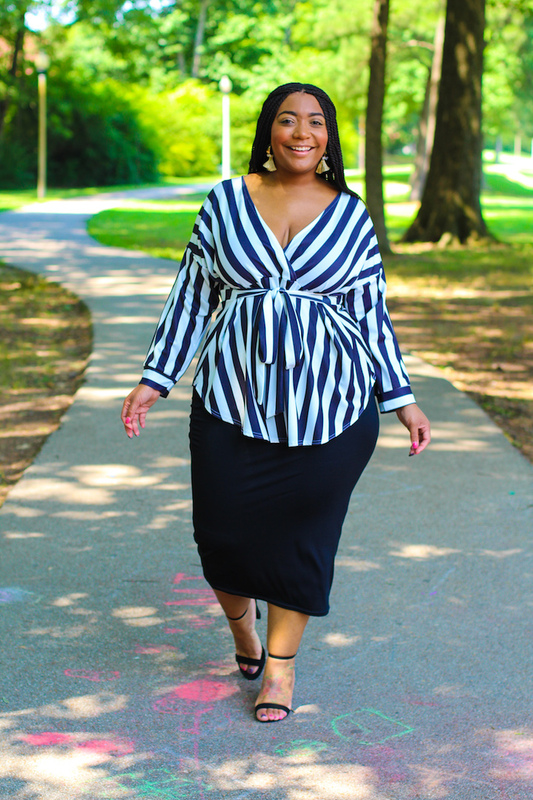 First up is this gorgeous black and white stripe top. I’m not gonna lie I tend to think of a referee when I see too many stripes but this shirt was different. 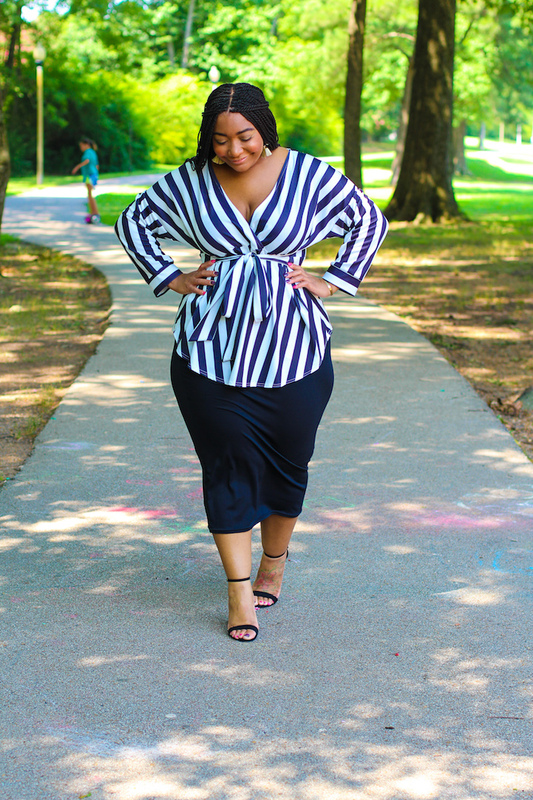 Its figure flattering and the stripes hit my curves just right. 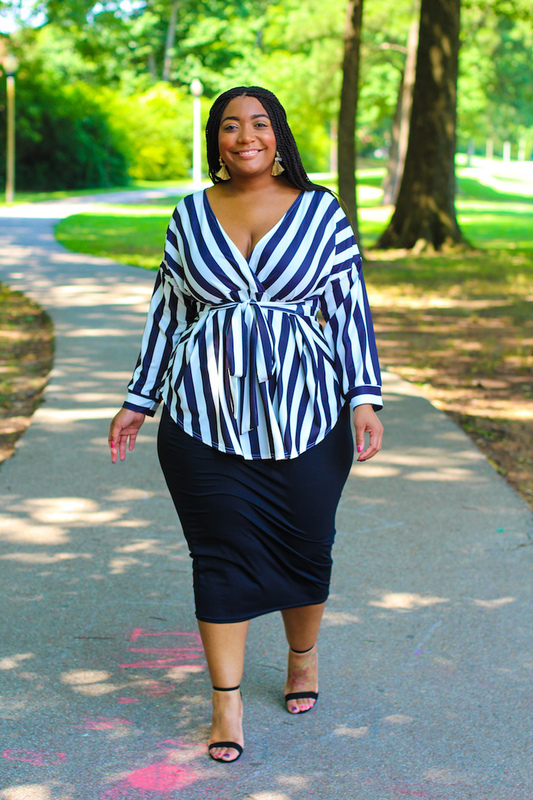 This shirt is perfect for any body type and any occasion! Now with top I opted for a maxi length skirt. 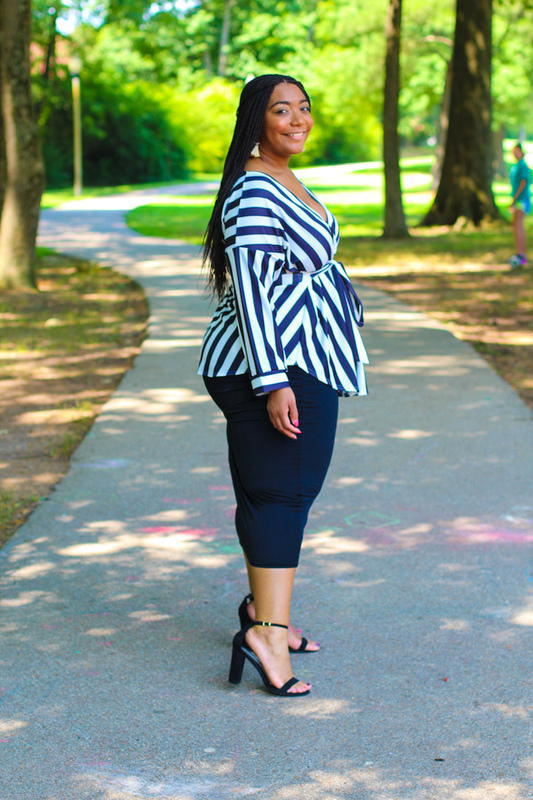 This skirt is perfect for work and play at a reasonable price. 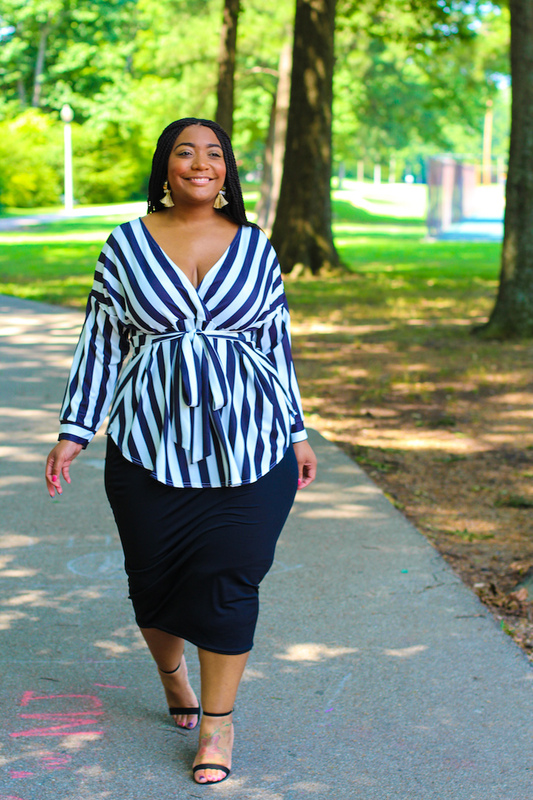 Styling this skirt with the black and white top were a match made in heaven. I added my favorite black block heel sandals and bold tassel earrings (similar) to complete this outfit. Everything came out better than expected. 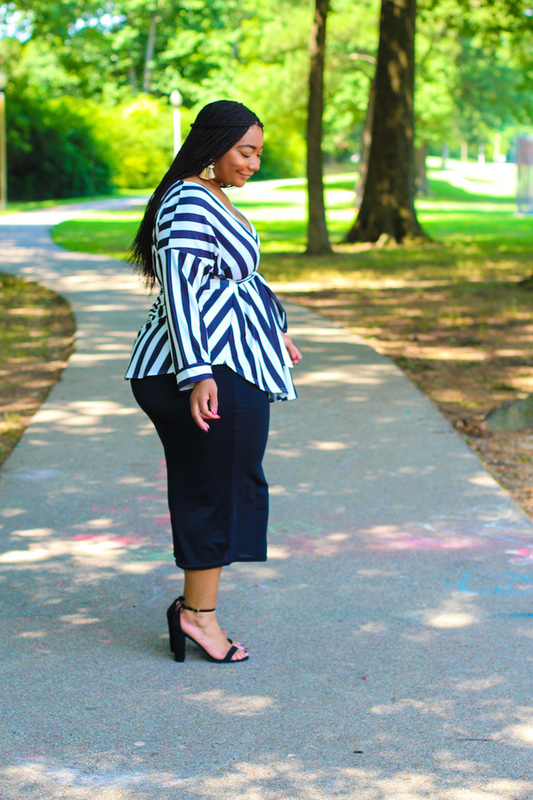 How you feel about wearing stripes? Style Notes: I am wearing a size 18 in this top. I thought I had to size up but a size 16 would have been perfect. 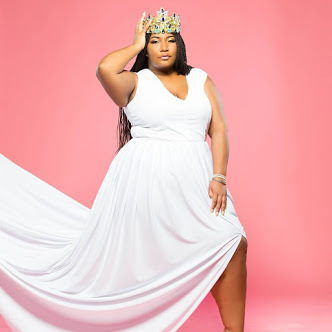 I am wearing a size 20 in my maxi skirt and a size 18 would have fit perfect. Sizing with this brand is pretty true to size. I am wearing a size 10 in black block heel sandals, they are true to size. *Items received complimentary as a Brand Ambassador all opinions are my own.